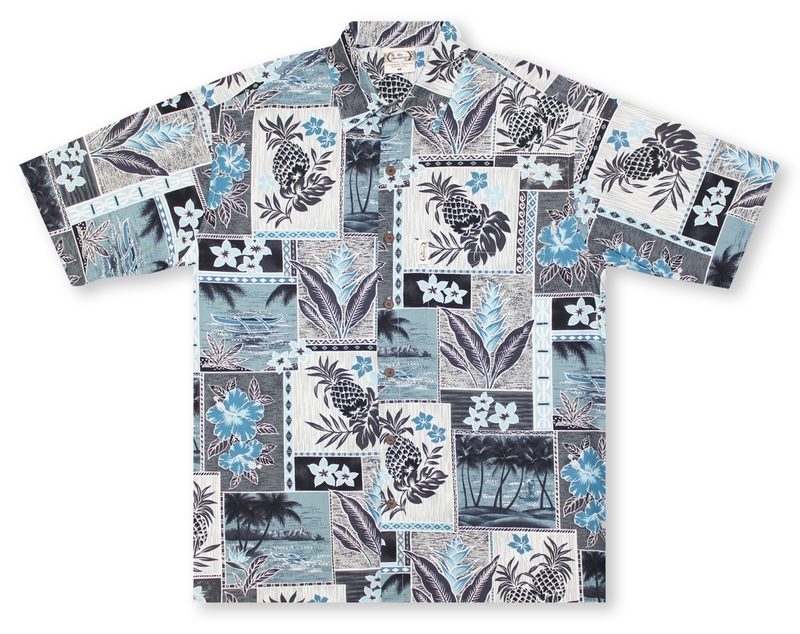 In 1946, World War II had come to a close, and Isamu Takabuki of Hawaii formed Iolani Sportswear and began manufacturing Hawaiian "Aloha" garments. He also purchased the Aloha Boeki screenprinting company in Kyoto, Japan to print his fabric with designs by Hawaiian artists. Clarence also recognized the need for a new product label; a "handle" for his ultimate customer to grasp. On one of his trips to Hawaii to develop designs for his Hawaiian shirts, Clarence met with his old friend Sterling Mossman, a well known nightclub entertainer at Waikiki's Queen's Surf and the famous Barefoot Bar. From his friend, he received legal approval to use the "Barefoot" which was the decor of the Barefoot Bar, with footprints on the walls and steps leading to the Bar and entertainment. The new label then became "Go Barefoot in Paradise" (also the name of Sterling's Waikiki show) and later was shortened to "Go Barefoot". Note: The footprint logo was sold to Hang Ten in the early 1970's.